Mercedes-Benz maker Daimler and Chinese auto giant Geely announced plans to develop the next generation of electric Smart cars to be made in China in a joint venture. Under the agreement, expected to be finalised by the end of 2019, the new vehicle will go on global sale in 2022, the German and Chinese car giants said in a joint statement. The 12-strong board of directors of the new venture will be made up of six executives from each company. 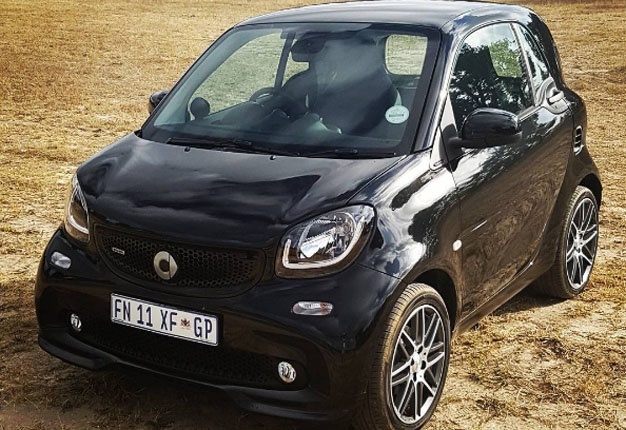 The new Smart cars will be styled by the Mercedes-Benz Design network with engineering provided by Geely. Prior to the launch of the next generation, Daimler will continue to produce the current "fortwo" model of the Smart car at its plant in Hambach, northeastern France. The Smart car will then leave its historic home in France to be manufactured in China, but Daimler insists no jobs will be lost. "None of our colleagues at Smart will lose their jobs as a result of these decisions," said Daimler boss Dieter Zetsche in a statement. "On the contrary. We need the passion and creativity of the Smart team more than ever. "After all, these changes are not ending for Smart -- but a new beginning." Daimler says €500-million will be invested in the Hambach plant, which will assume "an additional role" producing a compact electric vehicle under the new 'EQ' product brand. "All jobs will be sustained through our new project which will consist of creating a new assembly line for the construction of a Mercedes-Benz electric SUV in Hambach," Serge Siebert, CEO of Smart France, told the Le Republicain newspaper on Wednesday. Geely is owned by Chinese billionaire Li Shufu, who is also Daimler's main shareholder having acquired nearly 10% of shares in the German manufacturer in February 2018. Li's investment, which is reportedly worth around €7.2-billion, in the Stuttgart firm has raised political concerns about Beijing's ambitions in Germany. I'm a 38 year old woman looking to meet men between the ages of 36 and 42.